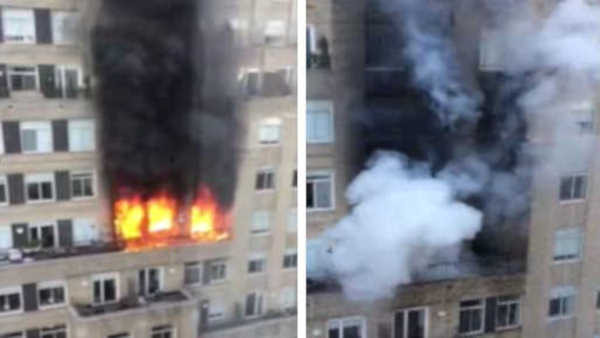 FINANCIAL DISTRICT, Manhattan (WABC) -- Flames shot out of a Lower Manhattan high-rise on Saturday afternoon. The fire started around 3 p.m. on John Street in a residential building in the Financial District. It took about 20 minutes for firefighters to get the flames under control. Investigators are still trying to figure out what caused the fire.